I made this beef chili for our St. Patrick’s day pot luck at my office last week and I was told that even though this pot luck was completely non-competitive (as most of them are) I cinched the win. I decided it was such a hit that I should make it again, but write the recipe down this time. Spice and vegetable mise en place. This beef chili recipe is called Beef Beef n Cheese Cheese Chili because the goofballs at work liked it and because it’s straight up, no frills, on point beef chili. 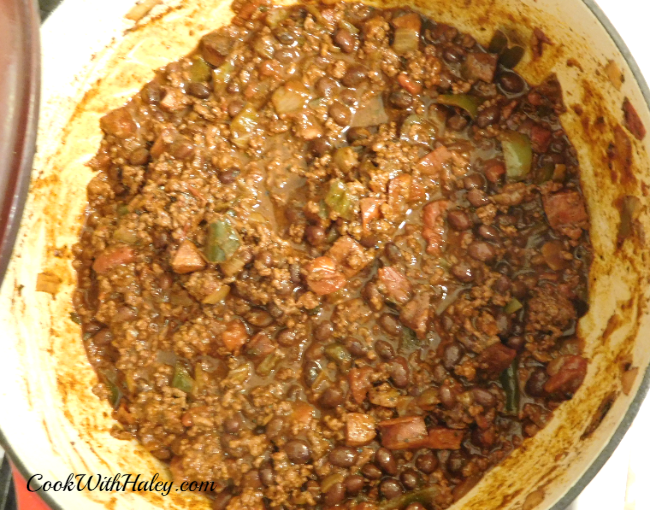 There is very little spice, no sweetness, very few beans, none of the crazy stuff people add to chili. Sear your andouille, but don’t let it burn. This adds a bit of a Cajun flavor to the dish. 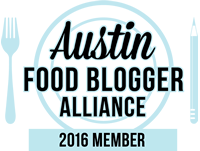 While the andouille sausage and cocoa powder are not exactly traditional for chili they do add just enough heat and a deep rich flavor. Kudos to my mom for the cocoa powder suggestion! Searing the beef. 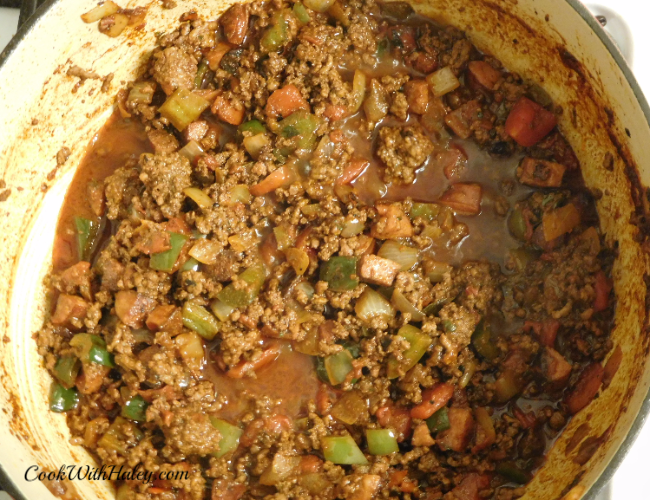 The extra fat in ground chuck adds so much flavor and goodness! 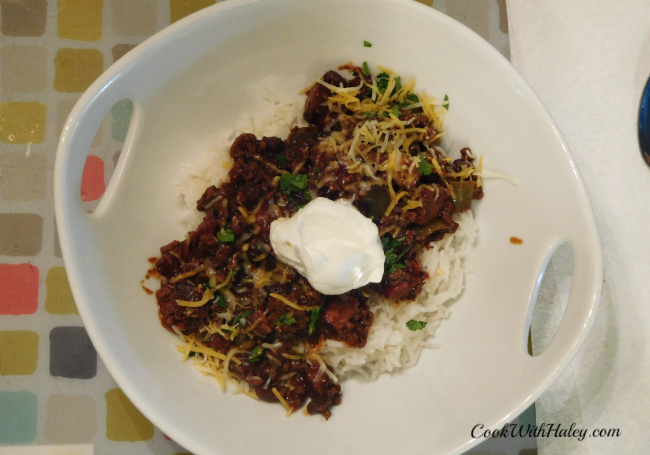 My favorite way to eat chili is over rice, topped with finely minced parsley, shredded cheddar cheese (hence the “cheese cheese” part of the name), and a dollop of sour cream. Of course, these are all optional. 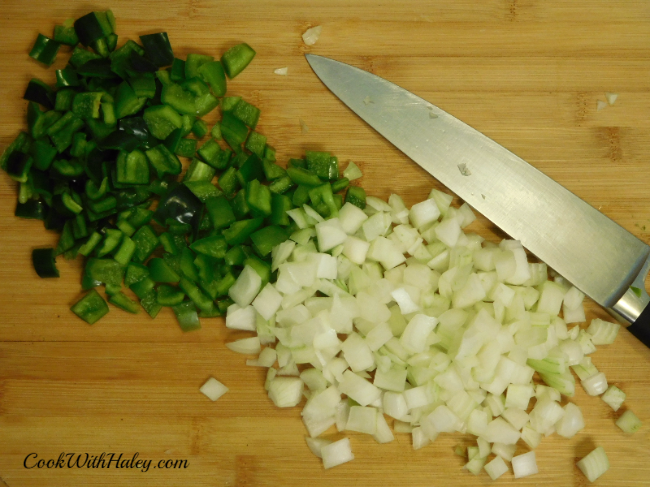 Pablano, bell pepper, and onion is all you really need for chili. Remember it’s about the beef; it’s not vegetable soup. I made this chili yesterday as a warm and hardy home cooked meal right before we head off to Italy for 10 days! For my Christmas present this year (he’s good, right?! ), a vacation to anywhere I choose, I decided I wanted and eating vaca, so I picked Italy, obviously. Chili pre-cooked down. You can see that the mixture is not quite homogenized. I’m so excited! Guys! Seriously! We will be staying (a.k.a. eating everything) in Naples. I definitely know I’m eating pizza, visiting Pompeii, and hiking Mt. Vesuvius other than that I’m leaving the plans up to my man. If you have any suggestions on the best (least touristy) places to eat and must see stuff please leave them in the comments!! Now here is the chili after 45 minutes at a low simmer. The vegetables have cooked down more and released their juices to combine and meld with the juice and fat from the beef, the beef stock, and the sauce from the chili beans to make an amazing thing. Even better after refrigerating overnight and reheated! 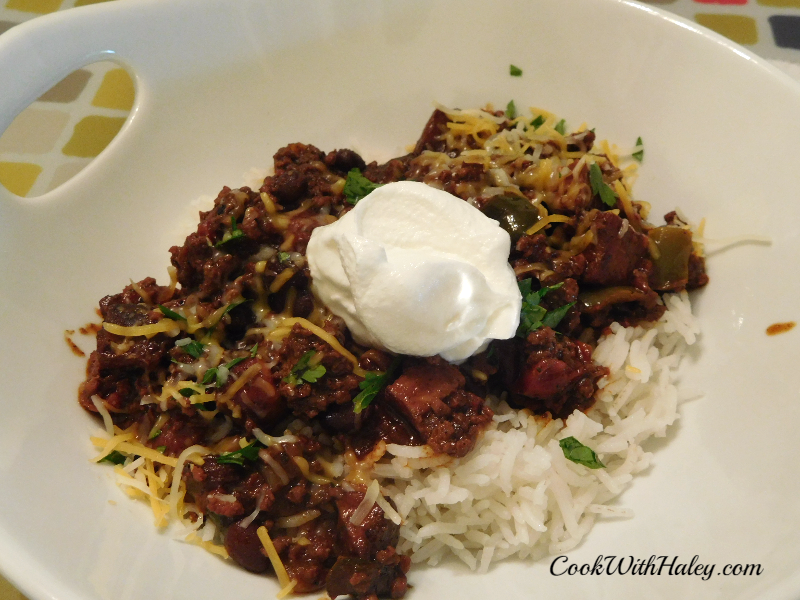 Hope you enjoy my beef chili and get ready for the cooking the Spring harvests when I return! 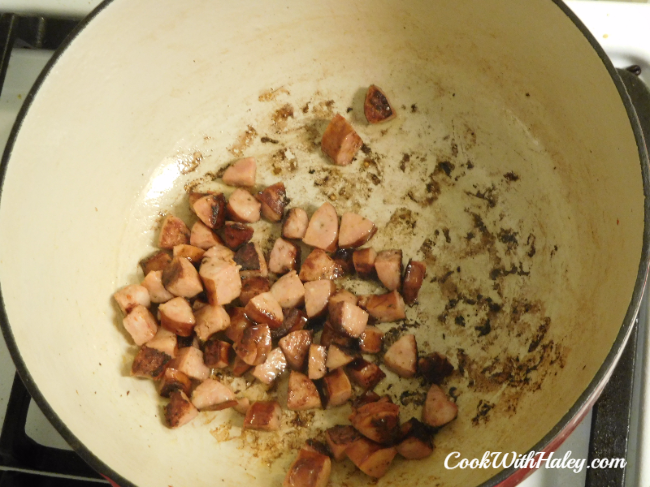 Bring a large dutch oven up to medium heat, sear andouille sausage until lightly browned, 3-5 minutes, stirring often. 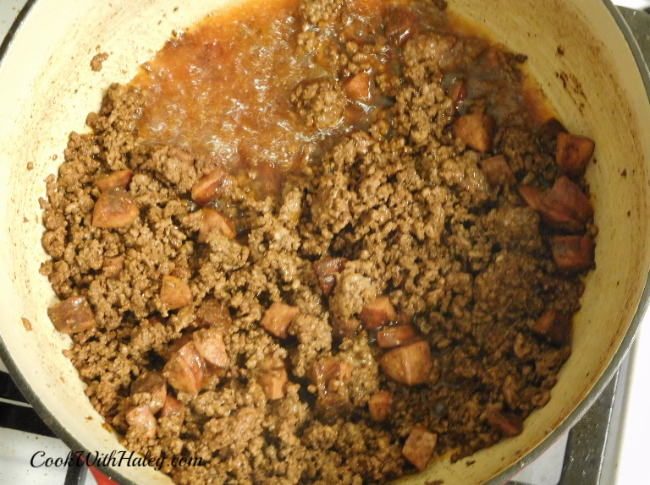 Add ground beef and increase heat to medium-high. Season sausage and beef with 1 teaspoon paprika, 1 tablespoon chili powder, 1 teaspoon ground cumin, 1/2 teaspoon salt, and 1/2 teaspoon black pepper. Brown beef thoroughly, about 10 minutes, stirring often. Remove beef from pot with a slotted spoon and set aside. Drain excess fat from the pot. Reduce heat to medium return dutch oven to heat. 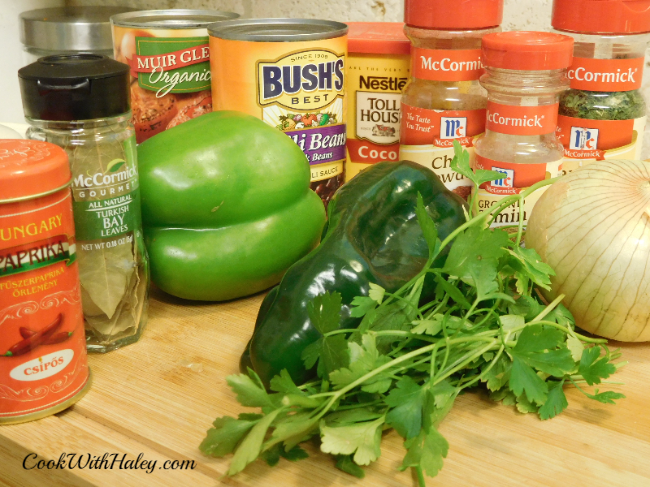 Add onions, bell pepper, and pablano and season with 1/2 teaspoon salt and 1/2 teaspoon black pepper. Saute until soft and translucent, about 10-12 minutes, stirring often. Add tomatoes with the juice, 1/2 cup beef stock, 1 teaspoon paprika, 1 teaspoon parsley, and 1 bay leaf to the pot and bring to a simmer. Simmer until juice evaporates, about 10 minutes, stirring often. Return beef mixture to pot and add 1 cup beef stock. Bring to a simmer. Reduce to low heat and simmer, partially covered, for about 45 minutes, or until sauce is thick and flavors have melded. In the last 15 minutes of cooking add beans with chili sauce and taste to adjust salt and black pepper seasoning. Note: Cook jasmine rice in a separate pot, according to cooking instructions, during the last 15 minutes. Serve along side chili with minced parsley, shredded cheddar cheese, and sour cream.